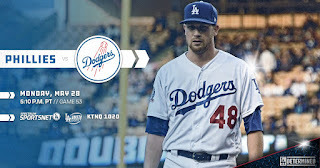 Dodgers Blue Heaven: Phillies Series Starts Monday - Stadium Giveaways, Pregame Info and Other Stuff! 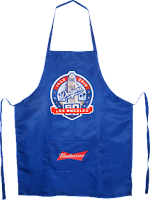 Phillies Series Starts Monday - Stadium Giveaways, Pregame Info and Other Stuff! 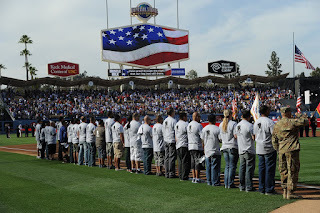 It is Memorial Day. Monday's game starts at 5:10 PM. Auto gates open at 2:30 PM, and stadium gates open at 3:00 PM. 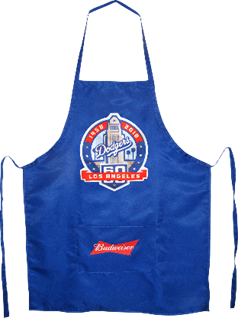 The first 40,000 fans in attendance will receive a Memorial Day Apron. See it on the right. There will be special pregame ceremonies featuring an honorary first pitch by members of a Tragedy Assistance Program for Survivors (TAPS) family, a presentation by the Military Order of the Purple Heart, a Joint Color Guard from Fort Irwin and a pregame flyover by the Condor Squadron. 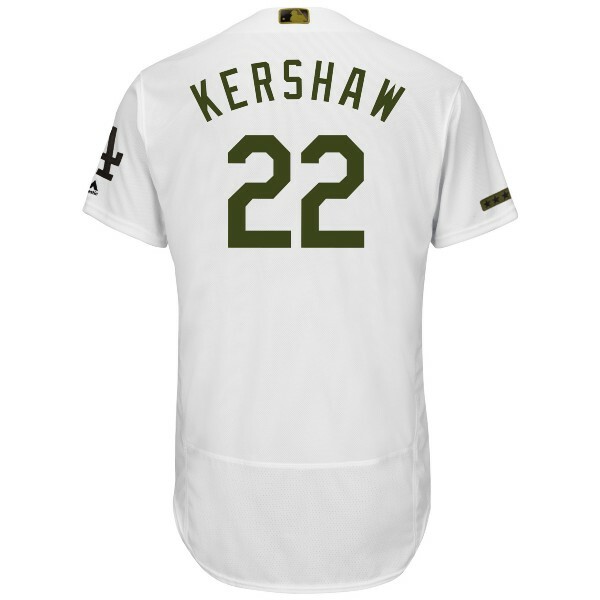 Ballplayers throughout the league will be wearing special Memorial Day caps and jerseys. 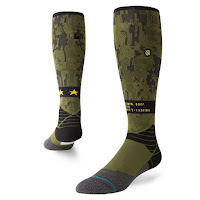 Players may also wear special Memorial Day socks. 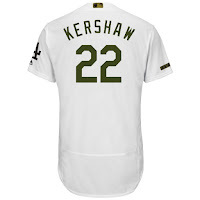 Below is a peek at the Dodgers outfit. Tuesdat's game starts at 7:10 PM. Auto gates open at 4:30 PM, and stadium gates open at 5:00 PM. 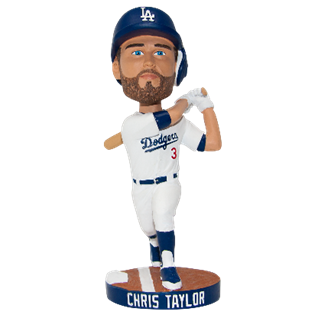 The first 40,000 fans in attendance will receive a Chris Taylor Bobblehead. See it on the right. Thursday's game starts at 7:10 PM. Auto gates open at 4:30 PM, and stadium gates open at 5:00 PM. 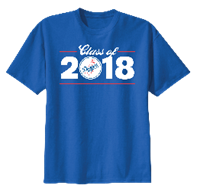 It is Grad Days at Dodger Stadium to celebrate the Class of 2018!. Folks who ordered a special ticket package will get an exclusive Grad Days t-shirt. See that on the right. If not already sold out go here for information.